Polycab IPO description - Polycab is engaged in the business of manufacturing and selling wires and cables and fast moving electrical goods (FMEG) under the POLYCAB brand. The company is among the largest manufacturer in the wires and cables industry in India. For Fiscal 2018, it had a market share of approximately 18% of the organized wires and cables industry and approximately 12% of the total wires and cables industry in India, estimated at INR525 billion based on manufacturers realization (Source: CRISIL Research). Polycab manufactures a diverse range of wires and cables and its key products in the wires and cables segment are power cables, control cables, instrumentation cables, solar cables, building wires, flexible cables, flexible/single multi core cables, communication cables and others including welding cables, submersible flat and round cables, rubber cables, overhead conductors, railway signaling cables, specialty cables and green wires. In 2009, it diversified into the engineering, procurement and construction (EPC) business, which includes the design, engineering, supply, execution and commissioning of power distribution and rural electrification projects. In 2014, the company diversified into the FMEG segment and its key FMEG are electric fans, LED lighting and luminaires, switches and switchgears, solar products and conduits and accessories. Polycab India IPO allotment status is now available on Karvy website. Click on this link to get allotment status. I have applied for 189 shares.but get no shares…Why? 700+ will be the listing price. What is the listing priice pls? 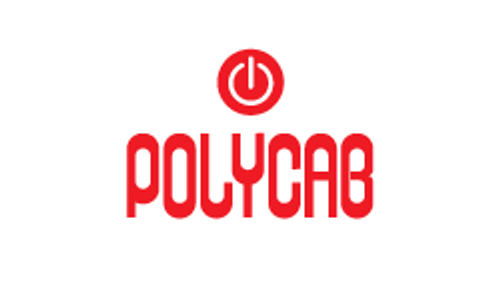 Very good pricing of Polycab. It will be a huge hit. I’m applying in all family accounts.